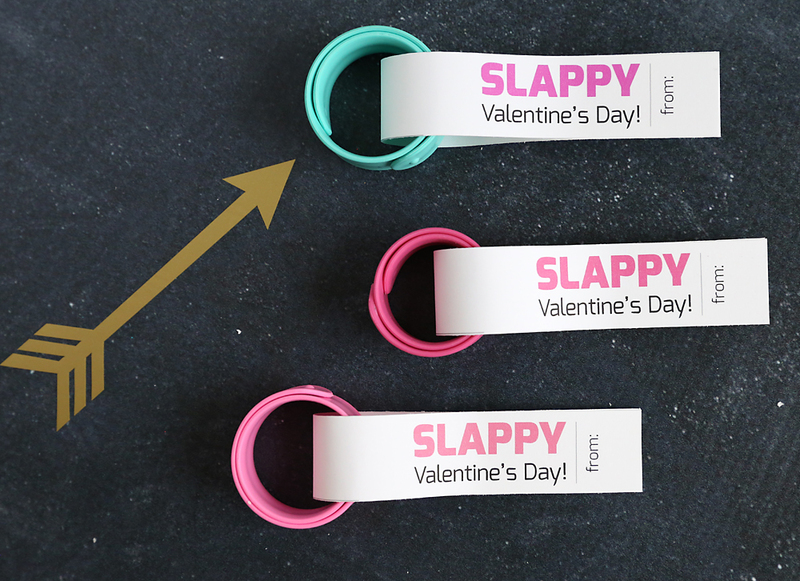 In today’s post: Have a “slappy Valentine’s Day!” with these cute slap bracelet tags. I know it still feels like we barely got Christmas decorations put away, but we’re only three weeks from Valentine’s Day! That means it’s time for some more easy DIY classroom Valentines ideas! I have three new ones for you this week and I’ll also be bringing back some oldies from the archives as well, so keep checking back. Find 35 more printable Valentine’s Day cards here. Side note: I am not good at puns. I really struggle to come up with cute sayings to go with cards and gifts, so when I want to work on a new post I ask whoever’s handy for help. That means my kids get to spend a lot of time brainstorming possibilities with me. (Don’t worry, I pay them in cookies!) Anyway, my older boys and I had come up with a few potential ideas for Valentine’s Day, but nothing that really caught my attention. 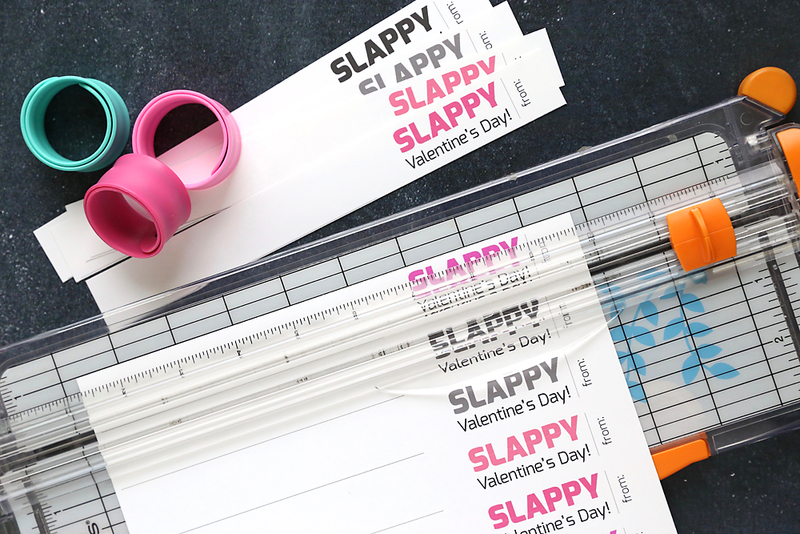 And then my youngest walked into the room and said: “You should give people slap bracelets with a note that says “Slappy Valentine’s Day!” This girl’s a genius! Side side note: I’m dying to make a cute Valentine’s card with circus animal cookies, but I can’t for the life of me come up with any Valentine’s saying that are remotely circus or animal related. Any ideas?? Click here to download the page of “Slappy Valentine’s Day” tags. I printed the tags out on cardstock so they’d be a bit sturdier, but you can also use plain paper. To assemble, cut the strips apart on the lines. My daughter is pretty excited to hand these out to her class! 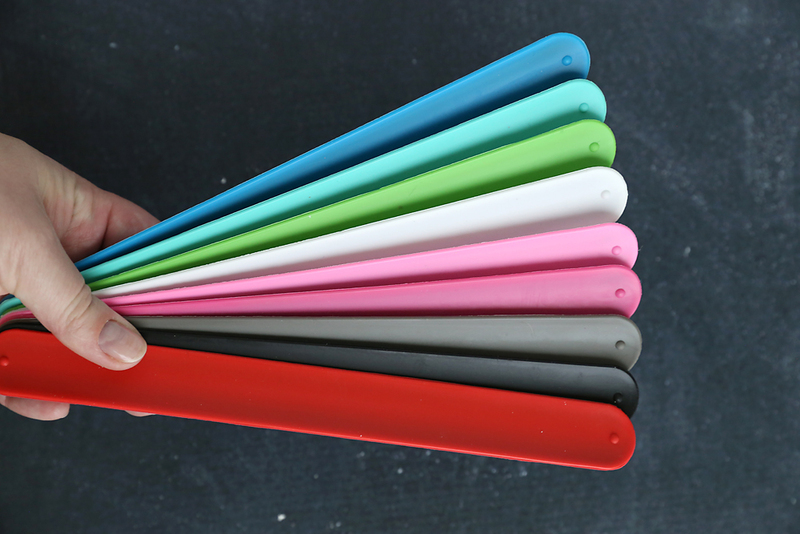 And judging by how much time my kids have spent playing with the snap bracelets (even my teens love them), her classmates will be just as excited to receive them. The dresses look extremely incredible and it coordinates the shading with the skin. I am hoping to see more accumulation of new dresses in various hues.